The Voice Of Russia reported today that a Russian warship will be visiting Istanbul between 7 and 10 May 2013. The Bora class hoverborne guided missile corvette of the Russian Navy, RFS Bora will be in Istanbul during the IDEF’13, 11th International Defence Industry Fair. The Bora class corvettes have a very unconventional structure where a large air cushion is placed between a catamaran hull. This shape provides lift and high speed. 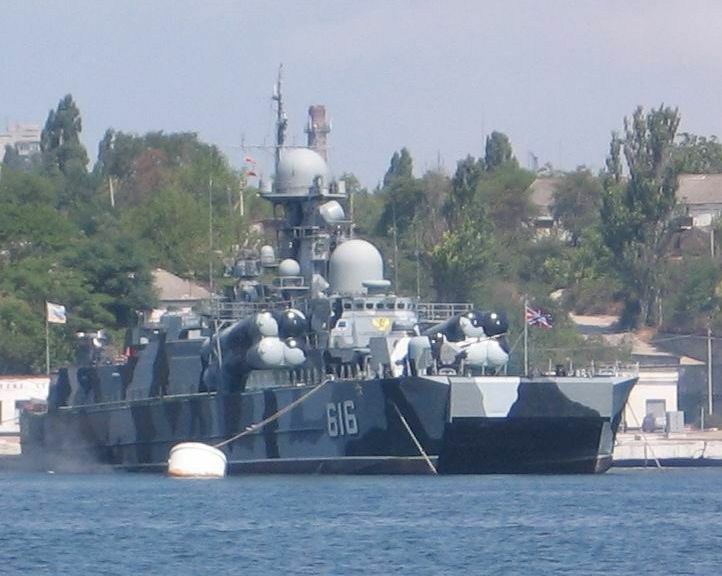 The ship is armed with Moskit anti-ship missiles and short range anti aircraft missiles. The sensor suit and the armament of this class closely resembles another Russians corvette class Tarantul. It is the largest military hovercraft unmatched anywhere in the world. With the displacement of 1000 tons, the craft has a cruising speed of 100 kilometers an hour. It is armed with 8 Mosquito missiles which can strike targets on the sea and on land. The hovercraft has 20 anti-aircraft missiles, an artillery complex, a machine-gun and an interference creating device. The hovercraft has an aluminium hull. Though it’s a light craft, its seaworthiness is very high. The hovercraft can be on an autonomous voyage for 10 days. One refueling is enough for 2,500 miles. The complement is 68 men. I sincerely hope that I may be able to take photos of the strange and interesting vessel.